New Features in PubMed Labs! The National Library of Medicine continues to develop features in PubMed Labs, with new tools and functionality added on a regular basis. 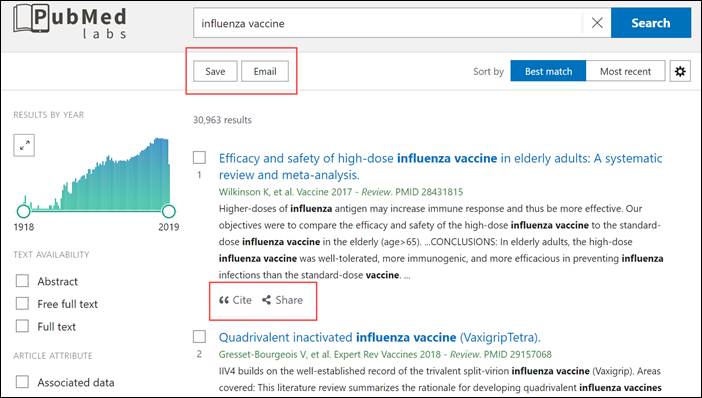 Recent releases added several ways to save and share citations, as well as enhancements to the search results and abstract pages. “Save” and “Email” options are now present on the search results and abstract pages for desktop and tablet users. Several formats are available, and users can now save citations in RIS format for importing to citation management software. “Cite” and “Share” buttons have been added to search results. Users can now share citations to Facebook or Twitter, and copy a permalink to share anywhere directly from their search results. 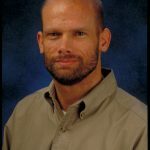 Secondary source databanks and accession numbers such as ClinicalTrials.gov, GenBank, figshare, and Dryad are now displayed under a new section titled “Associated data.” This section was first added to PubMed Labs on November 21, 2018 and was called “Secondary Source IDs.” It was renamed “Associated data” on December 5. Associated data links are included on the abstract page and can be found quickly via the navigation links on the right side of the page. Associated data can also be displayed when viewing search results in Abstract format by selecting “Expand” under “Supplementary Info.” The Associated data section only appears for citations with one or more of these data. Users can find citations with associated data by searching for data[filter] or by applying the associated data filter from the left side bar to their search results. When an abstract is available in multiple languages, the English abstract is displayed by default and users can click the other options to change which language is displayed. Feel free to submit comments, questions, or concerns using the PubMed Labs Feedback button.